Yesterday was the final day of the Book Sprint on the “Open Source Technology in Election Administration” publication, organized by the International Institute for Democracy and Electoral Assistance (IDEA) and facilitated by Faith Bosworth. As the now familiar morning mists lifted, the book entered its final stages of review and critique by the five contributers, intent on producing the best publication, and hopping as many internal publishing hurdles, as possible, by the end of the day. Although IDEA publishes a number of reports, handbooks and guides, this was their first Book Sprint, after being introduced to the methodology in a workshop by founder of Book Sprints, Adam Hyde. The book will be released in the next few days. 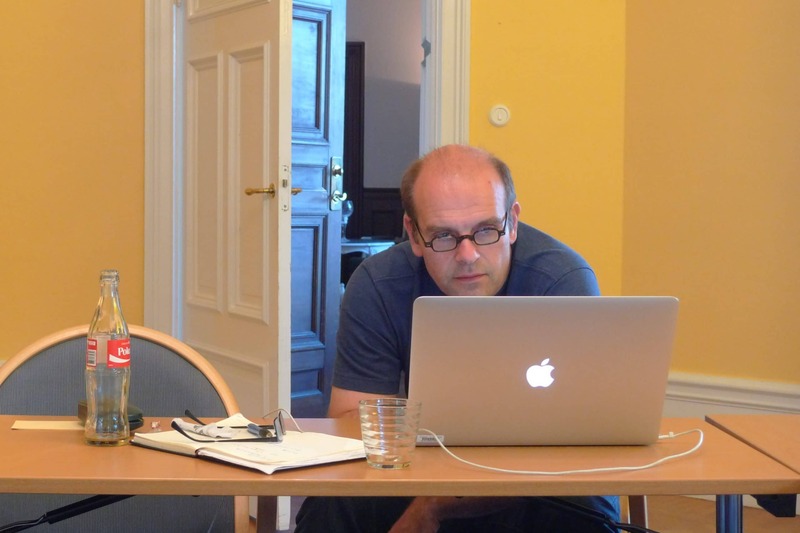 One of the book’s contributers, Carsten Schürmann from the IT University of Copenhagen.